What is Perc Testing ? A perk test or percolation test is designed to determine if your site is suitable for a septic system. It measures the ability of the soil to absorb water or other liquids. The local health department uses this test to determine what is required for a successful, and environmentally sound system. 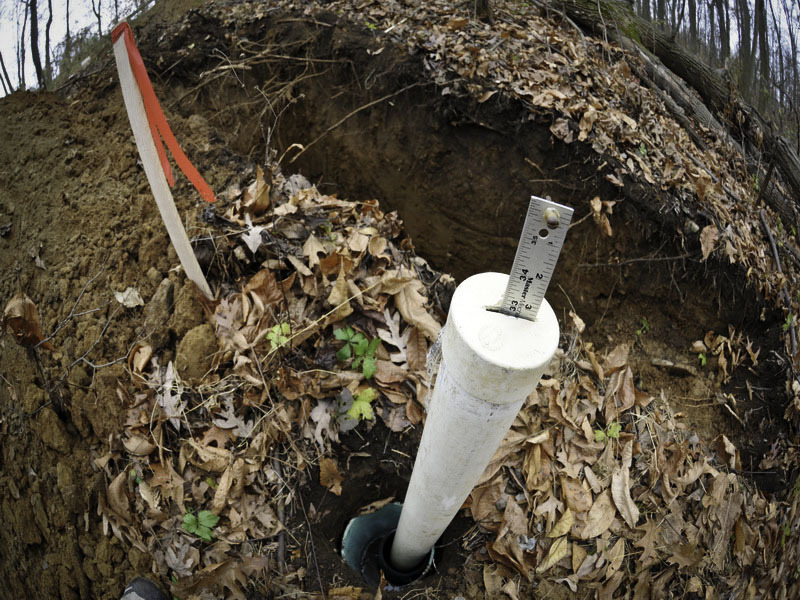 The percolation tests are designed to simulate conditions in a septic system. The test is generally simply digging a ten-twelve foot deep hole with a backhoe, and seeing what the drain rate is for the soil and the soil composition. The city calculates the size of the system based on the percolation rate and the number of bedrooms in the home. The more bedrooms you have, and the slower the perk rate, the larger the system requirements. Commercial systems are sized using the perk rate and estimates of the number of gallons of water used daily. Once the perk rate is determined the hole, or holes, get filled in and the information is taken by the health or building department to establish the system parameters for the eventual permit. In the event that your site is not suitable for a standard septic system we can discuss other options with you. To order up the perk test simply give us a call 519-676-0598 and we can make all the arrangements for the evaluation with your health department .In Chatham- Kent the building department is contacted .